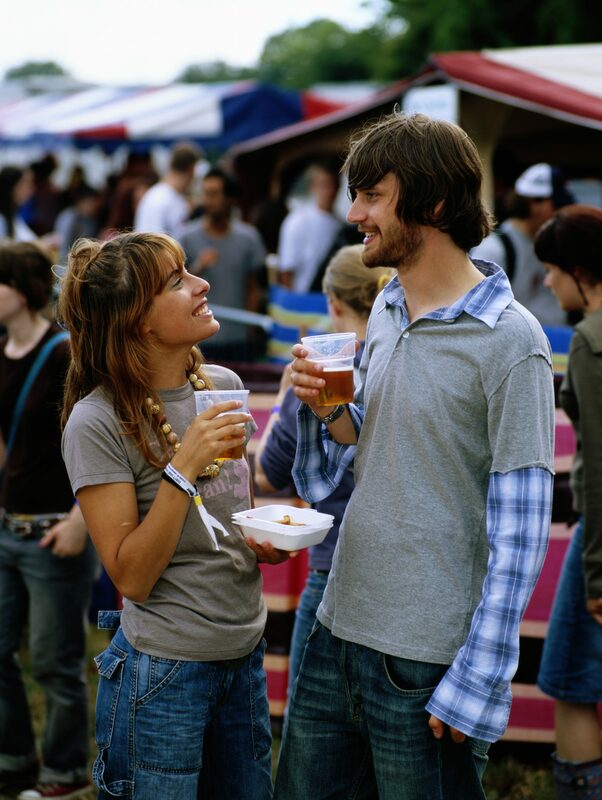 As the season for outdoor festivals and BBQs comes into full swing, customers are looking to let their hair down and enjoy a refreshing drink in the sunshine. For outdoor caterers it is imperative to serve a variety of drinks to keep customers hydrated and provide a special experience. Customers expect a choice of alcoholic and non-alcoholic beverages, from beer through to smoothies and juices. At an outdoor event it is important for drinks to be served in a lightweight, crack-resistant cup which can easily be disposed after use. 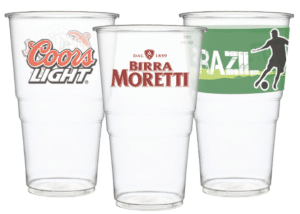 Perfect for serving pints of refreshing beer and cider, polypropylene (PP) tumblers from our exclusive brand Metro Cup are virtually crack-resistant, lightweight, pint and half pint sized disposable clear tumblers. Available in a ‘to brim’ or ‘to line’ design, the CE marked tumblers ensure a legal measure is always poured. The tumblers are easy to stack and are ideal for festivals where safety is a concern. 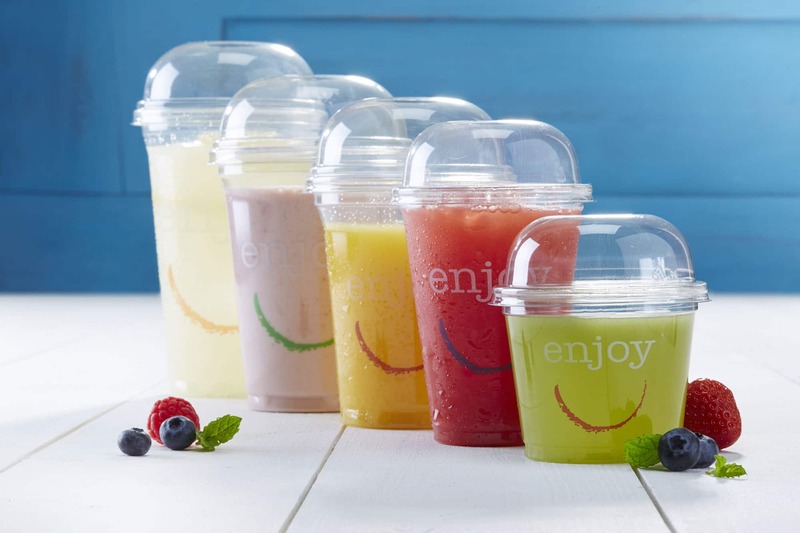 To serve thirst-quenching smoothies, juices and iced drinks, Polarity tumblers from Huhtamaki are available with matching domed lids. 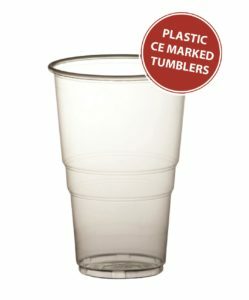 Made in the UK at Huhtamaki’s Gosport factory, Polarity tumblers are manufactured from recycled PET (rPET) – a material derived from post-consumer recycled material such as carbonated water and PET bottles – offering strength, flexibility and excellent clarity; whilst being environmentally friendly too. Available in a fun and contemporary ‘enjoy’ design, as a plain clear tumbler or in your own design through our bespoke print service. Bespoke print is a fantastic way of advertising during your event. 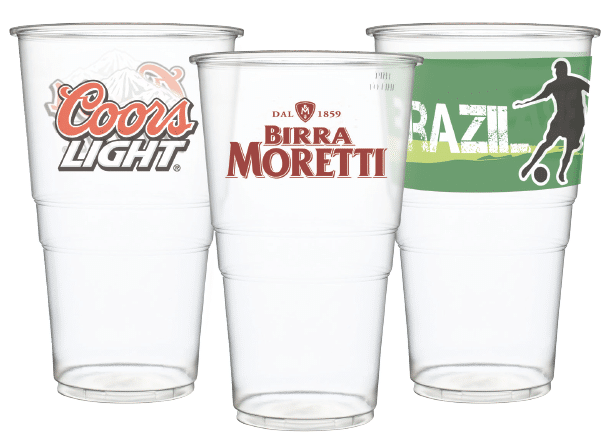 Disposable plastic cups can be printed with up to 6 colours, offering the chance for event graphics, sponsor logos and colourful designs to be in the hands of your consumers each time they take a sip. Flexy Glasses (pictured above) from our supplier Plastico are made from PP and come in a standard, premium or oxo-biodegradable range and are ideal for bespoke print. We have a large variety of hot and cold cups, plates, cutlery and other disposables to suit any outdoor event. Take a look at our Disposables e-brochure for our most popular range or contact us today for more information. Fermented food and drink are becoming extremely popular due to its potential benefits to health. According to a new report published by Allied Market Research, the global bubble tea market was valued at $1,957 million in 2017. Festive themed hot drinks have become a must have for many consumers during the festive season. Nitro Coffee has been nudging itself into the UK mainstream over the last few years.